From the Simi Valley (CA) Acorn. John McIntosh is pastor of the sponsoring church, Grace Brethren Church of Simi Valley. 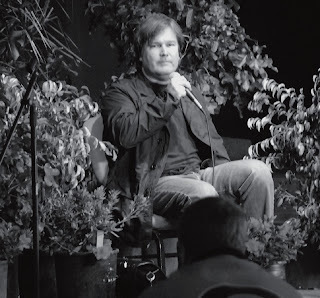 Gore Verbinski, the director of the three “Pirates of the Caribbean” films, came to Grace Brethren school to meet with the students in the Performing Arts Department. Accompanying him was Raphael Sanchez, one of the camera and lighting crew directors. Verbinski showed clips of his films and discussed the role of a director in film, as well as film production in general. Attending the seminar were the cast of Grace Brethren’s upcoming theatrical production of “The Curious Savage”; the drama, film and technological theater classes; and an alumnus attending film school at USC. Grace Brethren Junior/Senior High School will host an open house from 1 to 3 p.m. Saturday, Nov. 3. For more information, visit www.gracebrethren.com.